MD of PLP Lift Trucks Paul Pleasants successfully bid for the Hall & Woodhouse Brewery Tour in Dorset, at the raucous charity auction that was one of the many highlights at the recent FLTA Awards 2015. Pleasants pledged a remarkable £700 to the Help for Heroes charity. PLP Lift Trucks was set up in 1972 by Paul Pleasants. Paul, who was also a director of the FLTA for several years, along with other employees of PLP Lift Trucks, attend the FLTA Awards yearly to support the Cesab brand of forklifts, converse with old friends and raise money for charity. Brindley Lift Truck Services was set up in 1978, and Richard Hayes acquired the company from his father in 1992. Richard also regularly attends the FLTA Awards, and the awards in February 2015 was no exception. Having also been a director of the FLTA for several years, Richard made a successful bid on the Tedworth House tour in Wiltshire, raising a generous £1,300 for the Help for Heroes charity. The Fork Lift Truck Association (FLTA) annually hosts the biggest and most prestigious event in the Materials Handling Industry calendar. The FLTA Awards were launched to encourage and reward examples of excellence throughout the fork lift truck industry and the FLTA Awards have a truly international appeal with sponsors and winners flying on from Europe and the Far East for the Oscars-style ceremony, presented by ITV’s Jonny Gould. Total raised on the evening for Help the Heroes was £9,481.85. 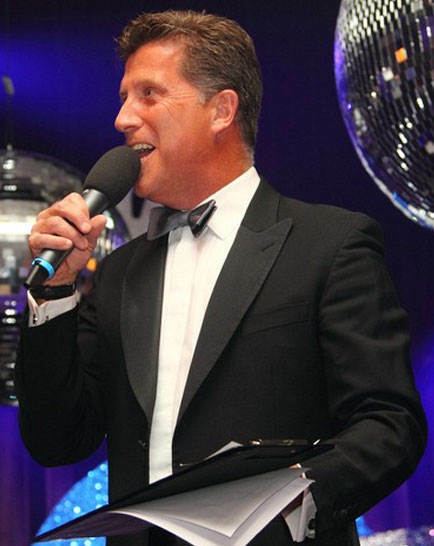 A big thank you to all that attended the FLTA Awards 2015, and an especially big thanks to the sensational compere and master auctioneer Jonny Gould.